The next wave of competition for Canadian grocers is not discounting products, but expedited delivery service. Amazon, Walmart and Longo’s Grocery Gateway have been the main players in Canada so far. Now, however, Loblaws has entered into an agreement with U.S.-based Instacart to bring grocery delivery to Canadians. 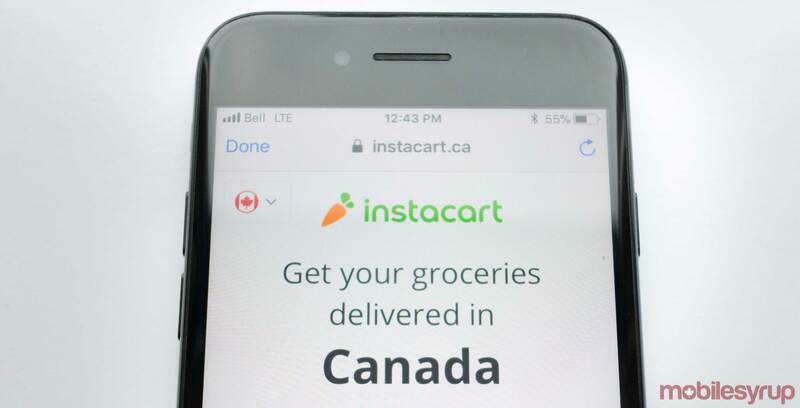 Officially launching on December 6th, Instacart and Loblaws will offer Loblaws, Real Canadian Superstore, and T&T in Toronto and Vancouver the option to order home delivery. Of course, there will be a delivery fee that starts at $3.99 (this ranges in price depending on the time and order size). Loblaws notes that there will be a $9.99 delivery fee for 1 hour orders that fall under $35. In addition, there’s an additional ‘service fee’ of 7.5 percent of the order. Those interested will have to download the Instacart app (iOS and Android), or through its online store at instacart.ca. The GTA (Greater Toronto Area) will be the first market and will be available to those in Toronto, Scarborough, Mississauga, North York, Richmond Hill, Markham, and East York. Greater Vancouver Area will go live sometime in January, with “rapid expansion to additional markets across Canada is expected throughout 2018,” says Loblaws. “We are a customer-led company adding new ways to make shopping easier,” said Galen G. Weston, chairman and CEO, Loblaws, in a statement sent to MobileSyrup.